Mr. Cornell was educated in the United Kingdom, receiving a Bachelor of Science (B.Sc. Hons) in Mechanical Engineering from Leeds University. He also holds a Post Graduate Diploma in Management Studies (MMS Dip) from Bradford College, Leeds University. Mr. Cornell is a Chartered Engineer (C.Eng. ), with membership in the Institute of Engineering & Technology (MIET) in the U.K. and is a Professional Engineer (P.Eng. ), with membership in the Association of Professional Engineers and Geoscientists of Manitoba (APEGM) in Canada. Mr. Cornell has received the APEGM Certificate of Engineering Achievement, has been honoured as a Fellow of Engineers Canada (FEC), and has received the Queen Elizabeth II Diamond Jubilee Medal. Mr. Cornell is currently the Chief Operating Officer of the Industrial Technology Centre (ITC) in Winnipeg, Manitoba, Canada, a Special Operating Agency (SOA) of the Government of Manitoba. 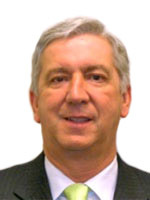 Mr. Cornell joined ITC in 1984 and, as Engineering Services Manager, and subsequently Centre manager, Mr. Cornell provided leadership to the ITC during the transition from a provincial research organization to the commencement of the organization’s operations as an SOA. With its own operating charter and degree of autonomy, ITC operates under the authority of Manitoba Jobs and the Economy. As COO of the Industrial Technology Centre, Mr. Cornell has been involved in establishing numerous new services. ITC currently provides advanced technical services that enable its clients to improve their products and processes, including: Calibration, Custom Data Acquisition, Equipment Rental, Lottery Ticket Testing, Mechanical Testing, Modeling & Simulation, Noise Measurement & Analysis, Vibration Measurement & Analysis, and Technical Information & Advice. Mr. Cornell has held a variety of positions in major manufacturing companies in Winnipeg and the U.K., working on a variety of development projects from designing washing machines to tractor production lines. He has provided technical consulting and business advisory services with small- and medium-sized enterprises in product design and development, process control, material requirements, plan layouts, costing systems. He has led projects in Pakistan, India, Central America, and East Africa as well as assisting with institutional management training programs in the Caribbean. Mr. Cornell was instrumental in the establishment of the Advanced Manufacturing Technology Initiative in Manitoba to help local manufacturers improve productivity.